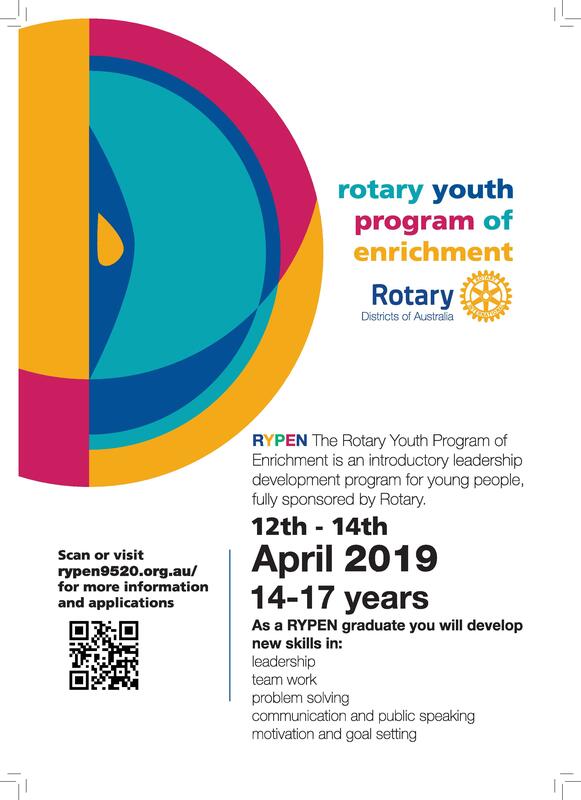 The Rotary Youth Program of Enrichment (RYPEN) is an introductory leadership development program for young people, fully sponsored by Rotary. For more information about the program, contact: Stephany Martin, District Chair, on E: rypen9520@gmail.com or M: 0439 572 495. To register for the program, visit the RYPEN website.